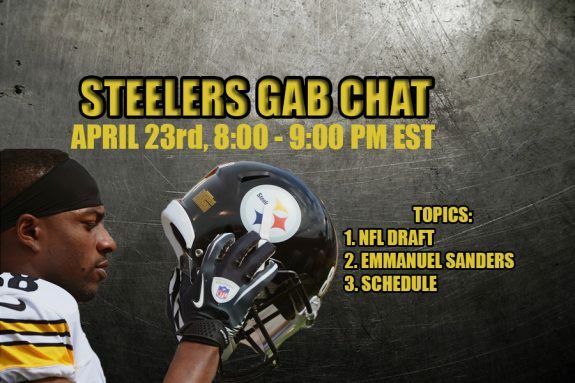 Welcome to another Steelers Gab Chat! Below starting at 8:00 PM eastern, we will be talking about the Steelers and what they may do on draft day. So please spread the word! The chat will last one hour long. You have a voice Steeler nation, so lets hear it! See you at 8. Be the first to comment on "NFL Draft Edition: Steelers Gab Chat"